Will the WWE Brand Extension Create More Injuries? Rumor and speculation is running wild about the upcoming brand extension set for July 19th. Virtually nothing has been cemented as far as how things will operate, other than the known facts that SmackDown will be moving to Tuesday nights, will air live, and there will be some degree of separation for the roster. 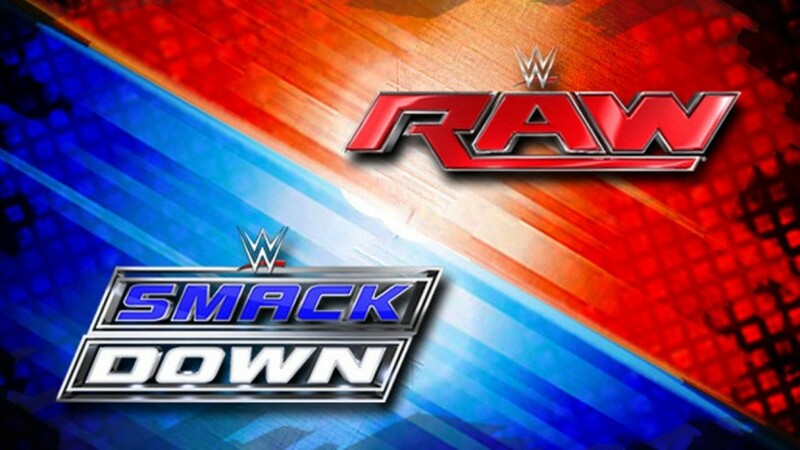 Raw and SmackDown - Equals Again? This is incredibly vague and ignoring several huge details that could have massive consequences for years to come. Are there going to be additional world, tag team and women's championships added for SmackDown? How are the pay-per-views going to be structured? Who will be the authoritative figure of the show? Perhaps the biggest question I have is how WWE plans on making sure it isn't just the fans who are burned out from having too much content, but the wrestlers themselves from having to produce all those shows. In 2015, the list of injured stars kept growing at a very dangerous rate. It wasn't just the rare instances where someone like Wade Barrett or Sin Cara would be off for a few weeks, but rather some major names that put a major dent in the plans. Sting and Daniel Bryan are permanently out of action and will never return to the ring, meaning there will be no dream match between Sting and The Undertaker, nor will The Yes Movement ever come roaring back. Bryan worked himself to the bone and didn't properly heal because he didn't want to take the time off, which resulted in his body breaking down to the point of no return. Likewise, when someone is taken out of the equation, other people are forced to step up and fill the gap, wrestling more and more and putting that extra toll on their own bodies. Soon enough, we see Cesaro hurting his shoulder. Nikki Bella—the top woman in the company with the longest title reign in Divas Championship history—has still yet to come back and will be forced to change her finisher because of the neck injury sustained partially from that. Then WWE World Heavyweight Champion Seth Rollins vacated his title and is just now back in the title hunt with a storyline for Money in the Bank that he never lost the belt to begin with. Randy Orton and Bray Wyatt have yet to return. Even the face of the company, John Cena, was forced to miss WrestleMania this year. If the roster suffered so many injuries over the past 12 months that more people continually got injured trying to make up for the lack of stars, how does WWE not see the potential risk with the brand split?! Separating Raw and SmackDown into two different rosters means there's less flexibility in the use of each show's performers as the talent pool shrinks in half. For the past few years, each show operated with the full main roster at its potential, but if the two brands are wrestling shows in different cities, that option is no longer on the table. That means there will be more repetition in seeing the same faces over and over again, which of course means the same guys are wrestling more than they normally would have. 1) WWE ups the amount of promos, video packages, commercials and other non-wrestling programming so as to cut down on the physical action. 2) WWE hires roughly double their current staff to make the numbers balance out. In the first scenario, that kills the product, as there is already too much extraneous content being put out there right now. The last thing WWE fans need is more rewinds and setups. That will make things too boring to watch and the viewership will drop. In the second scenario, WWE has to be able to afford all of those people and they need to be talented enough to be entertaining to watch, too, rather than just suddenly calling everybody from NXT up to the main roster and leaving that show with nobody but the dregs. Even then, WWE is only back to square one with the same amount of talent per show that it was at before in 2015/2016 when the injury-fest happened and the product struggled, so to avoid that, WWE would basically need to hire more than double the number of wrestlers. For the longest time, the debate has raged on that WWE should have some kind of "off-season" to allow wrestlers time to heal their wounds and not subject themselves to the constant wear and tear of the business. Spending the majority of a year traveling on the road and beating yourself up is not healthy in the slightest bit, and these men and women need to take better care of their bodies rather than be expected to carry an even bigger workload. It's simple math: if 30 people are overworked as they are, you can't expect to split them into two teams of 15 and double the production rate without running into problems. In the eyes of the fans, more content is an enticing idea, as we like to watch what WWE has to offer and "more is better" in many ways, but if it comes at a price of wearing out the people putting on those shows, it's going to diminish the quality in the long run. The only people who truly would benefit are those in the medical fields, as they would see a rise in clients. If you're a physiotherapist looking for a job, you might want to contact WWE now before they get hit with an onslaught of injuries and are in need of some physical trainers and physicians to take care of everyone with separated shoulders, ACL tears, concussions and more. There are plenty of reasons to be excited about the changes set to come in a month, but there are just as many reasons to be anxious that WWE could be in for a bumpy ride ahead, and the potential for an increase in injuries is definitely at the top of my list, if not secondary to the agonizing fear that even if the wrestlers are able to stay healthy, the overall entertainment value might still be stretched too thin to remain fun to watch. Is this something you're worried about, or are you more optimistic that this isn't going to be too detrimental to the health and safety of the performers? How do you think WWE can prevent another year of injuries like 2015?